“Pioneers of Sustainability” brought together a high level group of CEOs and policy makers listening to a vivid conversation between Dr. Franz Fischler, President of the European Forum Alpbach and Dr. Harald Katzmair, FASresearch. This conversation was followed by a general discussion about the future of economy and society and a delicious dinner at Procacci, Vienna. The participants experienced an entertaining and informative evening and are looking forward to the next “Salon of Pioneers”. 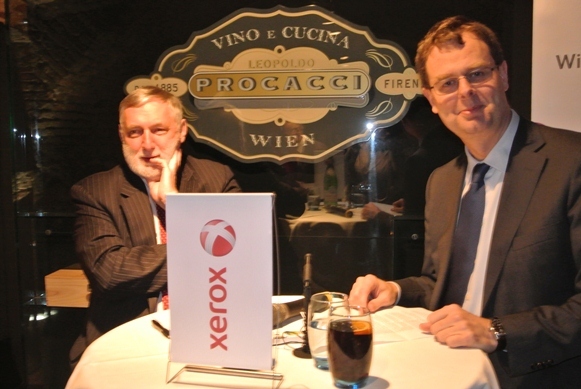 Xerox and FASresearch started 2011 with this event series on the importance of pioneer-thinking and pioneer-values for our future.